Do you or someone you know want to learn how to play platformers and enjoy good ambiance to boot? Well, I just have the game for you! Let me introduce Candleman: The Complete Journey, developed by Zodiac Interactive and published by Spotlightor Interactive. This charming platformer follows the story of an enchanted candlestick with legs throughout its journey to a lighthouse to figure out its existence. Candleman actually came out for the Xbox One around this time last year, and because of its strong reception in that platform, Spotlightor Games has decided to roll it out the PCs via Steam at the end of this month. 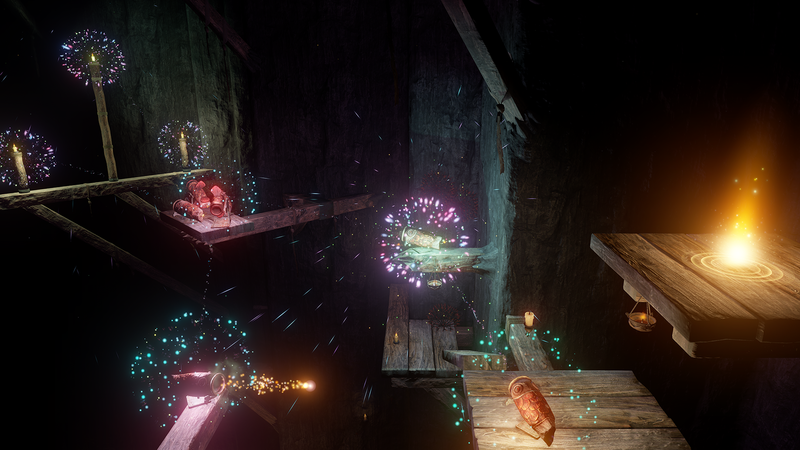 What makes Candleman the perfect game to learn platforming lies in its combination of simplistic controls and the intricate gameplay mechanics that appear in each level. The candle with legs has three moves: walking/running, jumping, and letting its light blaze. The game revolves heavily around the last move, as the titular Candleman lets his wick create a small flicker of light to illuminate surrounding obstacles. He has only 10 seconds of self-immolation before burning out. 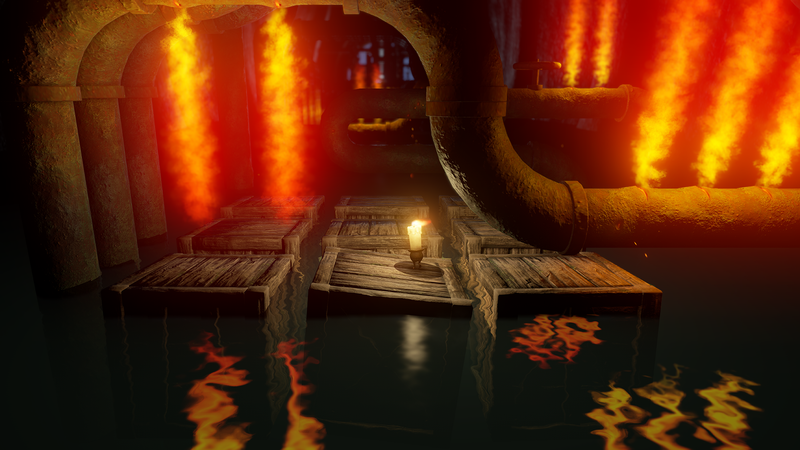 The game is set in a dark atmosphere, and you must guide the candle through a ship, the woods, a lighthouse, and beyond utilizing the small amount of light. Fortunately, Candleman is not a game of the blind leading the blind. First, there are other candles all over that can be set aflame to faintly illuminate the surrounding area. These candles actually serve as the game’s collectibles, as some of them are either hidden and/or can be found with some tricky maneuvering. There are also candles (stouter than the rest) that serve as checkpoints; once Candleman lights these fatter candles, the game will continue from those points if he burns out, falls in a pit, or gets crushed. Second, the game environment plays with the dichotomy of light and dark. Which leads me to the game mechanics of Candleman. These mechanics are the ones that you typically would find in a platformer with the added intricacy of illumination and darkness. 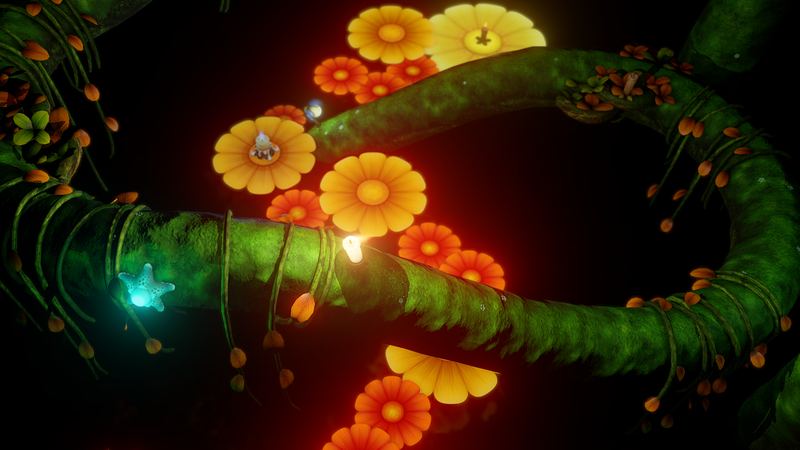 For example, in the woods levels, Candleman can cast light to make nearby flowers bloom, allowing him to then jump on them. 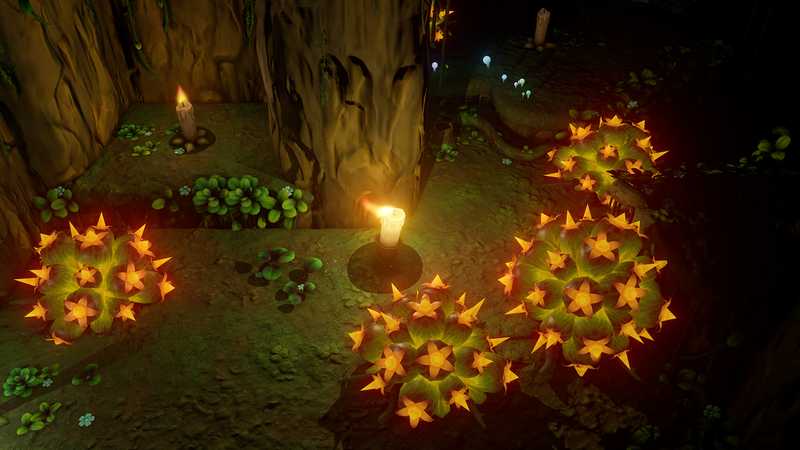 There are also some spiked plants that drop from vines when light shines on them, which can create added difficulty in your travels since it will be game over if those spiked plants touch the little candle. It does not mean, however, that you need to avoid letting those spiked plants drop all the time; sometimes those spiked plants are necessary to drop down and raze some flora to pave a path for Candleman to reach its destination. Thus, the balancing the dark and light becomes a huge decision for you in order to guide the candle to the end of the level. As a hint, the level’s title almost always gives a description of the game mechanic that you and the little candle will be facing. For example, the first level in Chapter 7 is called “Massive stones they push with force” and will pit you to moving blocks that will push you off to pits. If guiding a candle in the dark with a trifling amount of light seems a bit overwhelming, it’s really not; my experience with Candleman has been a very forgiving experience. You are given 10 lives to complete short levels (within five to ten minutes, maybe fifteen minutes maximum), which, to me, is the perfect way to learn how platformers work. If you are using a controller to play Candleman, my only recommendation is to use the d-pad in some certain portions of the game, specifically the 2D-like vertical ones. While the game is completely 3D, there are times when the camera pans the level in a 2D-like area. When you are using the joystick to move Candleman around these areas, even though you are guiding him to move just left of right right, you end up moving him slightly down which will make him fall to his doom. I wholeheartedly recommend you pick up Candleman for its really good platforming aspects with the added layer of light and darkness. In fact, as I mentioned in the beginning of this review, this is a great tutorial game for someone green in the world of platformers. To be frank, after you finish Candleman, you can probably beat the first game in the Crash Bandicoot series with little problems since you will be facing the same gameplay mechanics.